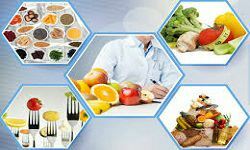 Research in nutrition and Dietetics of the nutrition Conference focuses on latest researches and related studies in the field of nutrition and food sciences. In order to ensure both robustness and fairness, it was necessary to create sub-categories within most of the other related categories. Nutrition labeling is information found on the labels of pre-packaged foods. These give you information about the nutritional value of a food. You can use this information to make healthier food choices and achieve overall good health. Foodborne diseases take a major toll on health. Millions of people fall ill and many die as a result of eating unsafe food. Deeply concerned by this, WHO Member States adopted a resolution in 2000 to recognize food safety as an essential public health function. Food safety encompasses actions aimed at ensuring that all food is as safe as possible. Food safety policies and actions need to cover the entire food chain, from production to consumption.